What’s this? What’s this? Another movie review so soon after the Cinderella one? Well, this is a special case and stems from some miraculous fortune. I’m driving down the streets of Albany when I spot on my left Albany’s resident independent movie theater the Spectrum 8 Theatres. I glance at the marquee as I pass by and what should I see but the words “Song of the Sea”. Seeing as I rarely get the chance to review these smaller released films, I saw this as a rare opportunity (Besides, things were starting to get far too Disney around here). Now, if you’ve been following Gypsy Thornton’s Once Upon a Blog, you know she’s been talking about Song of the Sea for a little while. So, if you want some more media-savvy material about it and to see some stellar images from the movie, click HERE (sadly, I have no images from the film myself. I don’t use an image service like some bloggers do). 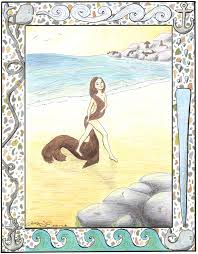 For those who don’t know, Song of the Sea is based on Irish folklore about the Selkie. Selkies are magical beings who swim in the ocean in the form of seals but will come onto land and take off their seal-coats and become beautiful women. The movie features a young boy named Ben who lives in a lighthouse with his father. Years ago, his mother disappeared into the ocean, leaving a newborn little girl named Saorsie. His father, struggles with the loss of his wife. Ben tries to hold onto the memory of his mother through the stories and songs that she left behind while at the same time struggling with the frustration of dealing with his younger sister. Meanwhile, Saorsie, at 6 years old remains a mystery as she still hasn’t said a single word. One night, Saiorsie is led to a locked chest by some glowing lights where she finds a glistening white coat. From there, she heads toward the ocean where she meets a group of seals that lead her into the water where she turns into a seal herself. The next morning, Saorsie and Ben’s visiting grandmother finds her washed up on the beach and forces their father to make them move to the city with her. From there, Ben decides to run away back home with Saorsie in tow, discovering along the way that there’s far more to his sister than he expected and also realizing that he has to face his fears and his feelings about his sister and the loss of his mother. This movie was fantastic! One of the best uses of Irish lore I’ve seen on the screen (admittedly, my experience is limited). 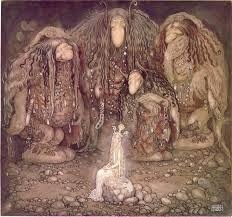 Now, keep in mind that not all folk tales are fairy tales. There’s a difference. Most of the selkie stories I know don’t end so much with “They all lived happily ever after” as often as they end with “and he never saw her again”. So, be prepared for a wide range of emotions when you watch this. The movie is magical, mysterious, funny and a bit melancholy all at the same time. 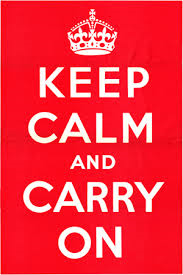 However, this is fitting when you consider the wide breadth of human emotions the old Irish tales often embraced. In fact, one of the central themes of the movie seems to be that it’s better to feel something bad than nothing at all because feeling nothing is akin to being turned into a rock. If you’re a mythology buff, you may want to keep an ear open for some familiar names. 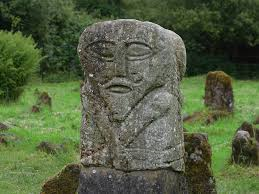 In Irish folklore, the names of old Celtic mythical figures often get repurposed as saints, fairies, witches and giants. 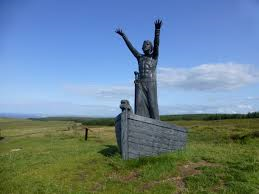 The giant Mac Lir, for example, is derived from the sea god Lir. The witch Macha has the same name as one of the incarnations of Morrigan the Celtic goddess of war. I highly recommend watching Song of the Sea. The story is well-crafted. The art style is distinctive yet simple enough to allow for smooth animation. The voice actors also do a terrific job. It’s not your usual, wide-released animated film, but it’s not trying to be. So, keep an eye on your local independent theater or look for the DVD that was just released. I think you’ll be glad that you did. Hello again everyone, and greeting from the Enchanted Condo. 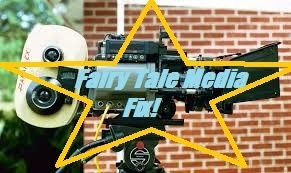 I am, as you know, Adam the Fairy Tale Geek. Now, just last week I posted my list of “fairy tale superheroes”. 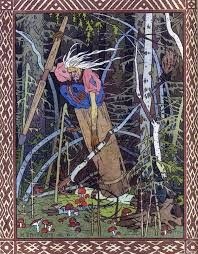 These were the folk tale collectors whose super-powered bodies of work shaped how we viewed the fairy tale and the folklore of the world. However, you may have noticed that one specific name was missing from the list that many thought should have been on that list. I am talking of course about the one and only Andrew Lang. I’m going to tell you the truth. I didn’t know much of what to make of Andrew Lang and his body of work. I know people referenced his “color books” as a landmark but didn’t know much else. I did get the chance to read The Blue Fairy Book a while back and actually thought it was kind of an odd little book. It was largely a mix of German, British and French fairy tales with some other odd bits thrown in. One story is “The Terrible Head” which is clearly the myth of Perseus with the mythological names and places removed. The minute I figured I got a handle on the book, it threw me another curveball. That would be “A Voyage to Lilliput” which appears toward the end and is basically just the first three chapters of Johnathan Swift’s Gulliver’s Travels removed from their original source and presented as a standalone tale. Now, I didn’t find it to be an unpleasant book. In fact, I thought it was quite fun. I was always wondering what tale Lang would throw my way next. I also liked that he included some of the work of Madame D’Aulnoy, which I’ve found very difficult to locate in English. I liked it, but I just wasn’t sure of what to make of it. Eventually I did some research and found that Mr. Lang in addition to deserving credit for writing so many other pieces of his own work, was kind of a rebel in collecting his fairy tales. 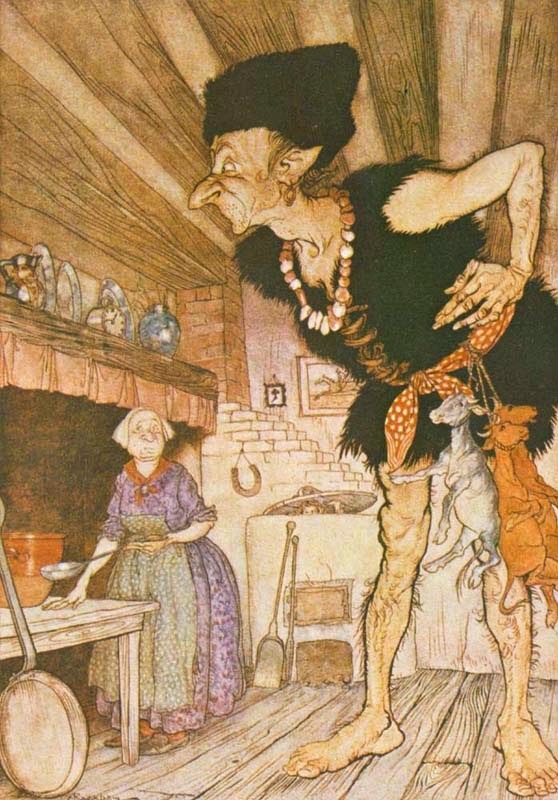 Traditional fairy tales were out of vogue in Britain during the age in which he lived. People believed they were too simple for adult reading and too crude and violent for reading by children. Instead, children were encouraged to read the more gentle, fanciful Victorian fairy tales of the day. Lang had a certain amount of disdain for these. I can’t blame him, of the ones I’ve managed to dig up often lack a certain vitality. The Victorian children’s stories that survived the test of time are the ones that had a little something extra like Peter Pan and Alice’s Adventures in Wonderland. So, fueled by the love of folklore he developed growing up on the English-Scots border, he started importing tales and translating them into English with the aid of his wife. In many cases, it was the first time any of these tales appeared in English. He took from Grimm, D’Aulnoy, Perrault and yes even Swift. Twelve color-coded books later and he’d become a writer famous more for the works he didn’t write than the ones he did. So, Andrew Lang may have been one of the first great anthologists of fairy tales. This is no mean feat. The fairy tale writing world is full of editors and anthologists putting together different books along different themes. Surely, this is deserving of superhero status. However, I can’t help thinking that something like this deserves its own awesome analogy separate from the superhero one I used earlier. Then it hit me! Andrew Lang is the world’s first and greatest fairy tale DJ! Now hear me out! If the books of other fairy tale collectors are essentially albums, then Lang is the guy who takes tracks from all these different albums and puts them together into epic fairy tale playlists. Sometimes it’s familiar hits you know. Other times it’s stuff you’ve never heard of. 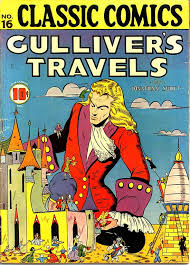 Sometimes he’ll just surprise the heck out of you by including something crazy like Gulliver’s Travels. Every color fairy tale book is the equivalent of a fairy tale mixtape (or mix CD or Ipod playlist depending on your generation) all set to rock your weekend. 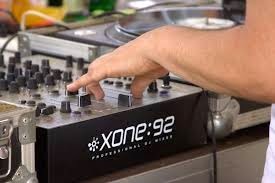 Not only that, he’s the guy who paved the way for all those other fairy tale playlists we’ve encountered in our lives. 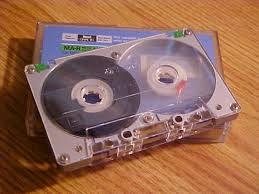 Like the “greatest hits” compilations many of us had around as kids. Yes, that is a picture of my own childhood storybook. I’m holding onto it until my niece and nephew get a little older and I can pass it on. I’m sure many of us have fond memories of our own childhood storybooks. However, these books are kind of amazing if you think about it. Our moms, dads, grandpas and grandmas didn’t have to go looking through numerous different books to find “Jack and the Beanstalk”, “Snow White”, “The Three Billy Goats Gruff”, Perrault’s “Cinderella”, “The Ugly Duckling” and all those other stories we were likely demand when we were younger. Sometimes they even threw in some Aesop’s Fables for good measure. They could all be found in that one big, giant storybook. And of course, there are other multi-cultural, multi-source anthologies out there based around a variety of themes. 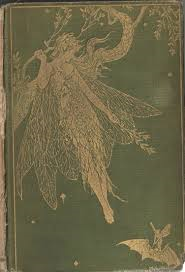 If you want to find the full text of Lang’s Fairy Books, look HERE and HERE. 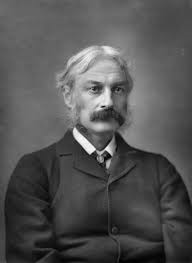 In the comments tell me your thoughts on Andrew Lang. However, if you want, also let me know what would be on your epic fairy tale anthology/playlist. You’ve got a blank storybook and you can fill it with any ten tales you want. Give it some thought. Until next time, keep aiming for that happy ever after.